Has Your Phone Stopped Ringing? How Much Do You Spend per Month on Marketing? When it comes to efficient, reliable and high quality web design look no further than Remarkable Marketers! Don and his team understand the needs of their clients and how important it is to have an efficient design that gets the point across to your customers quickly. I only wish I would have found him a YEAR ago!!! As a new business I needed direction and Remarkable Marketers helped me move my business in the direction it needed to get the most exposure online. I would recommend them to any startup companies and those that have been in the business for years to help grow and to stay on top of the competition. 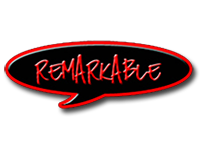 The team at Remarkable Marketers did an amazing job for me! He went above and beyond the scope of the job and completed the job ahead of schedule. Don is very knowledgeable and took the time to explain the issue to me and answered all of my questions. Highly recommended!